THE OFFICE OPENED IN OUR NEW LOCATION ON 03/12/2012. THE NEW OFFICE IS AT 4125 JIREH COURT, MARIANNA, FL 32448. THE ADDRESS IS NOT YET AVAILABLE ON MOST INTERNET MAPS, BUT IS LESS THAN HALF A MILE SOUTH OF HWY 90 ON PENN AVE AND IS NEXT DOOR TO MARIANNA TOYOTA AND DAVITA DIALYSIS. The Marianna Social Security office is located in Marianna 32448. The following page includes information for this location like the office phone number, hours of operation and driving directions. If you have any interests or comments about your retirement benefits or are interested in making an appointment, call the following Marianna Social Security office. The Marianna Social Security office is located at Marianna 32448. The Florida SSA provides various federally run programs like retirement, SSI, Medicare and disability benefits. The following page contains important contact information for this location such as the Social Security office phone number, hours of operation, and driving directions. 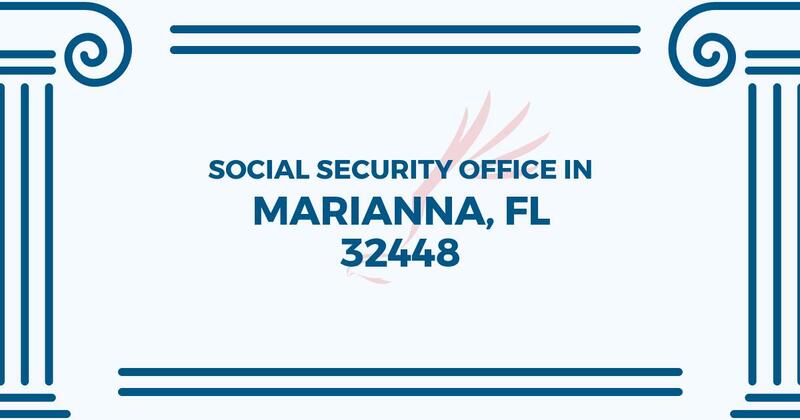 If you have any comments or inquiries about your retirement Social Security benefits or interested in making an appointment, call the following Marianna Social Security office.